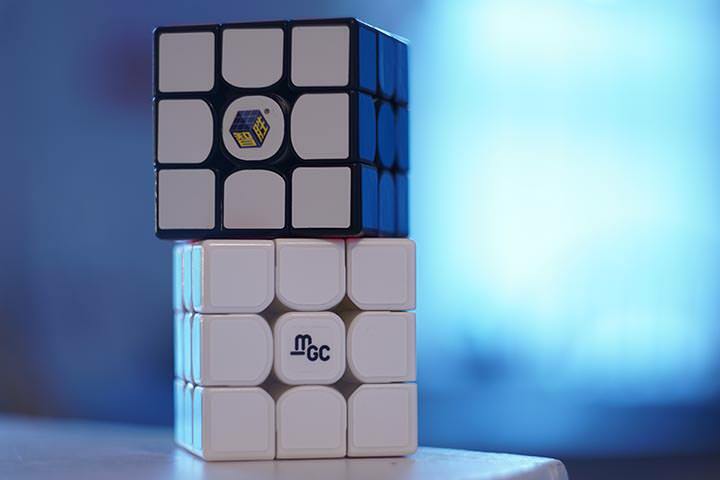 QiYi has done a good couple of 2x2s in the past, from the original QiYi 2x2, to the Ge Cavs as part of their original budget line, to the much more recent QiDi S. Most of these were received pretty well but with little fanfare, being lower-end budget cubes, and in particular the QiDi S failed to definitively dethrone the KungFu YueHun, long regarded the king in its price range. 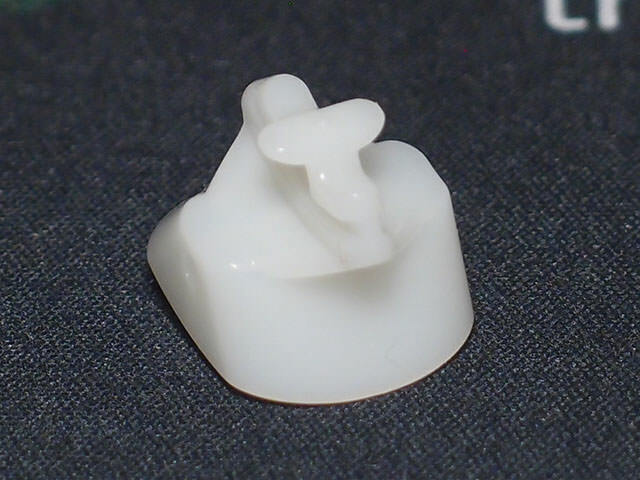 It's no surprise then, and perhaps a bit overdue, that QiYi has finally released a flagship 2x2. The WuXia and WuXia M take that honor. 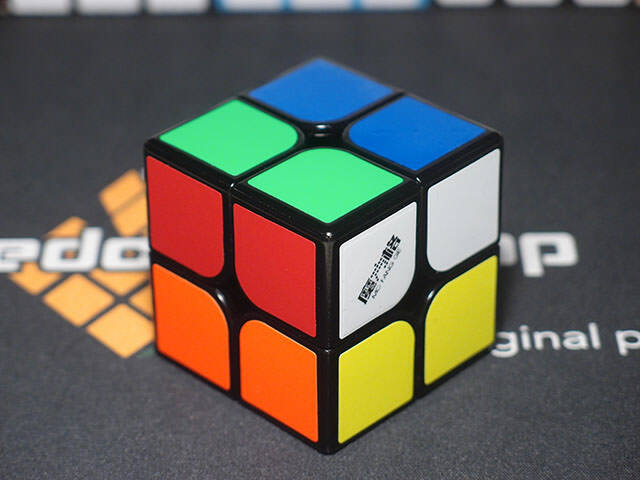 QiYi has pulled out all stops in making these 2x2s, and just like every other flagship from late 2017, they now come in a factory magnetized configuration. These are going to go up against some stiff competition against MoYu and subbrand cubes, which have been much more entrenched in the market, and GAN's newest release, which is hoping to make an equal splash. Let's see how the WuXia and WuXia M hold up, then. Nothing special. It seems the move over to premium boxes and packing configurations hasn't yet arrived on 2x2, which may be a good thing since it can help keep costs down. As long as 2x2 remains less prominent than 3x3, I don't think we quite need magnetic sleeved boxes. 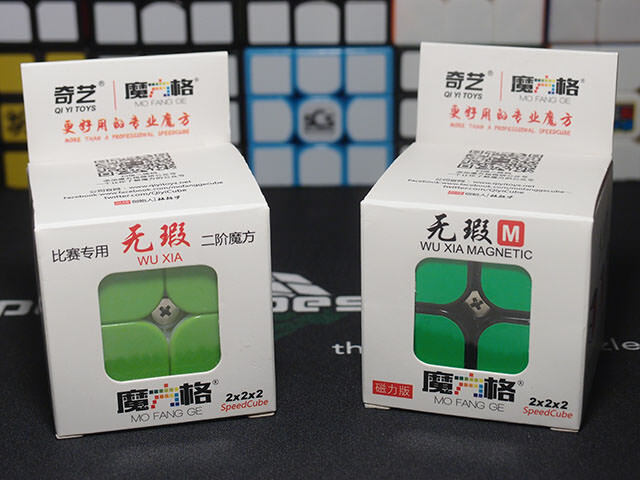 The WuXia and WuXia M both come in a standard QiYi paper box, as seen used on so many cubes in the past. They don't include anything special in terms of accessories, save for the typical Chinese instruction guide. They're 2x2s. 2x2s all look more or less the same. 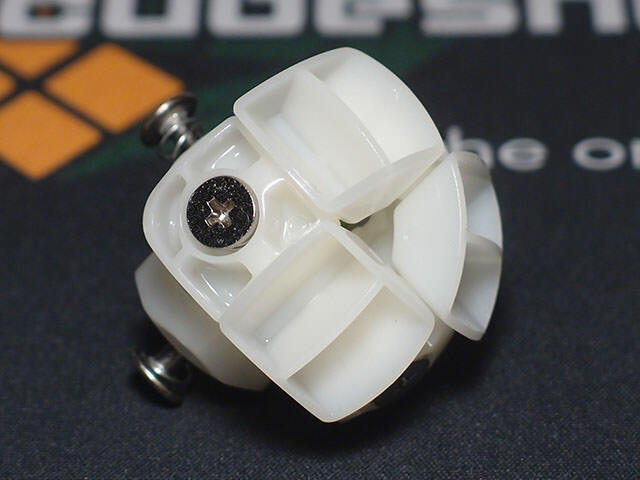 The stickerless one has primary internals again, as QiYi seems to love doing these days, but that's the biggest thing that sets it apart. There's a bit of creakiness if you squeeze the cube but otherwise it feels decently solid in the hand. How about some specs, then? 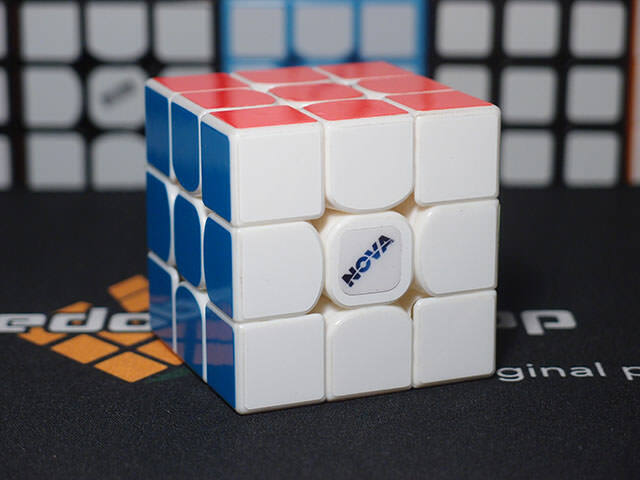 The cube measures 49.5mm across, just a tad smaller than most 50mm 2x2s. Think Valk 3 vs GTS v1. It weighs 60g unstickered and unmagnetized, just a tad on the heavier side, and 65g stickered and magnetized. Wait, I'm reading my scales wrong. Nope, that's not a mistake, apparently. Stickers and magnets combined add just 5 grams, so conservatively setting aside 2 grams for stickers, that means our magnets weigh just 3 grams. What? 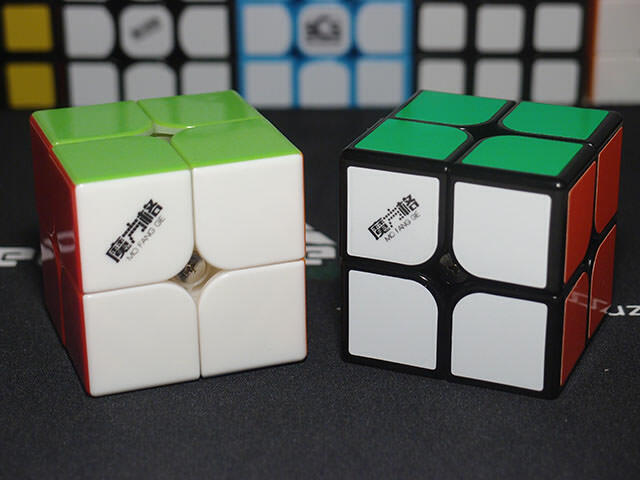 The stock sticker scheme is QiYi's standard half-bright scheme (which was actually first used by GAN), and the stickerless scheme is QiYi's standard half-bright scheme which does a pretty good job of emulating roughly the same amounts of contrast on their sticker scheme. No issue with the stickers so far, but I can't guarantee that they're 651 (as detailed in my last review). The nonmagnetic cube came much tighter but actually a bit faster, and interestingly it had nothing to do with the absence of magnets. I loosened it by a quarter turn on each face and it became too fast. Weight 5 to the rescue! I have since done 500 solves on each... it's a good thing 2x2 Ao100s go by so fast. Most 2x2s seem to exist on a spectrum between thick, soft, and smooth on one end and fast, crunchy, and tactile on the other end. The Xinghen, for example, sits a bit closer to the soft end and the Yuehun is all the way at the crunchy end. I suspect this cube has the potential to be at both, depending on setup, because my WuXia is definitely a bit closer to the Yuehun but my WuXia M is even softer than my Xinghen. You'll get the feel you want out of the Wuxia, but you might have to play around with setup a bit to get there. It's quite stable, and just a bit on the side of slightly heavy turning. There's no blockiness to speak of and it's very flowy through algs and triggers. The magnetic implementation is very light. As in, the magnets almost feel weaker than the natural bumpiness of the cube. Of course, I for one tend to like nonmagnetic cubes so the lighter the magnets the better, but if you're expecting a particularly snappy cube you will be disappointed. Angles are 51 degrees forward and 39 degrees reverse. It does seem to be a bit more skewed towards reverse than most 3x3s, but not by much. The corner cutting is unfortunately quite dull and crunchy feeling, and starts to feel particularly awful past 45 degrees. Reverse cutting is smoother and snappier, but hangs up a bit past 32 degrees. Ah well. It's not a 3x3. This is as good as we can hope for. So most 2x2s aren't quite as well established in these categories as 3x3s are. Popping hasn't been a major issue for years, but corner twisting has. Well, at least, until this cube. What surprised me quite a lot was that corner twisting this cube was, well, hard. It takes plenty of torque to force a corner twist by hand, and during that process the cube feels like it's being stretched to the limit. I couldn't get it to corner twist at all during solves, not even with my sloppiest turning, despite doing so pretty easily on any other 2x2 I use. Now, 2x2s are by nature easier to corner twist, so the fact that this 2x2 approaches 3x3 levels of corner twisting resistance speaks volumes. Holy cow, QiYi. You may have just fixed 2x2. Alignment mechanism first, as usual. It's hard to tell, but there are fins concealed on the edges that interlock with grooves under the center. Pretty typical mechanism, used since the days of the Dayan. You can also see that it has inherited the Valk's stalkless centers, which is not the only Valk similarity present. The edges look very much like a Valk's edges. It has pretty much the same edge base design, and a similar curvature on the friction surfaces to smooth corner cutting. 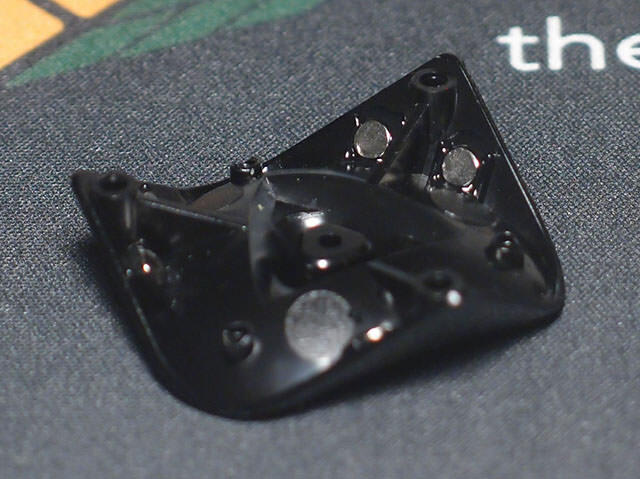 Of course, being a 2x2 internal piece, it is one-piece since there's no practical reason to split it or give it caps. The corners are where it gets interesting. Again, the internal geometry of the corner is very similar to the geometry of the Valk...including the squared corners. 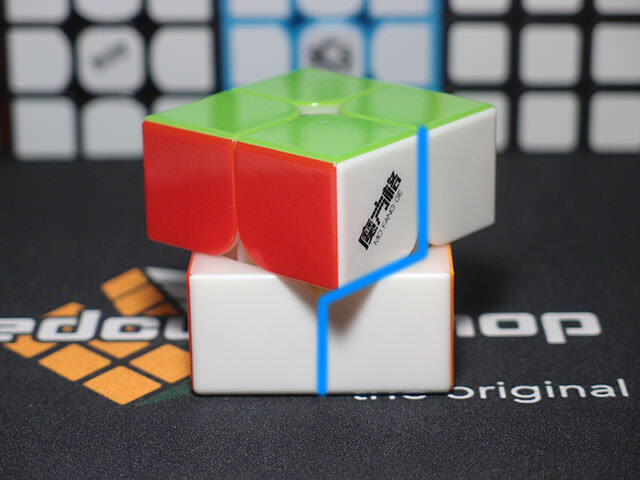 Yep, you heard that right, QiYi has brought squared corners to 2x2. "What the heck is that supposed to mean?" Well, basically, the 3x3 structure of a 2x2 has little to do with the external Florian holes. 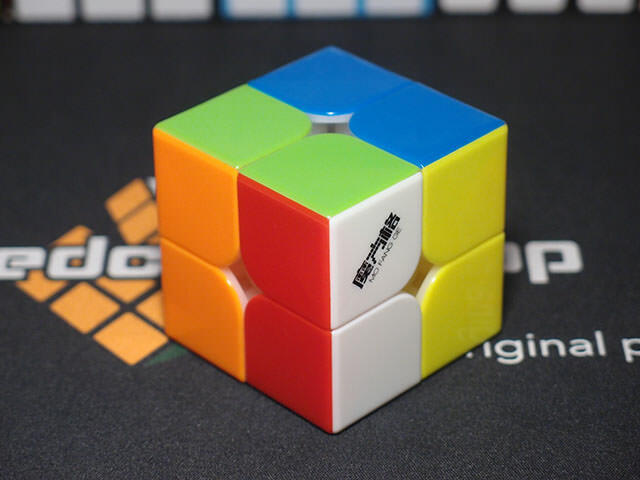 QiYi has added the a squared protrusion to the internal 3x3 portion of the corner, and it sits up against the edges exactly as they would on a 3x3. The results really do speak for themselves. This is by far the hardest 2x2 to corner twist, approaching what we have on 3x3. It seems making a good cube by taking a mech from a good 3x3, miniaturizing it, and giving it 2x2 extensions really does work quite well. That was what the Zhanchi 2x2 was, and that's what this is now. It gives me hope that even if 2x2 doesn't see its share of attention by designers, as long as there are good 3x3s there will also be good 2x2s. Let's just take a final look at the magnetization. Okay, wait, how do you get this corner apart? Goodness, this was one of the hardest corners I've ever had to disassemble. Six plastic pieces plus a screw. Why??? 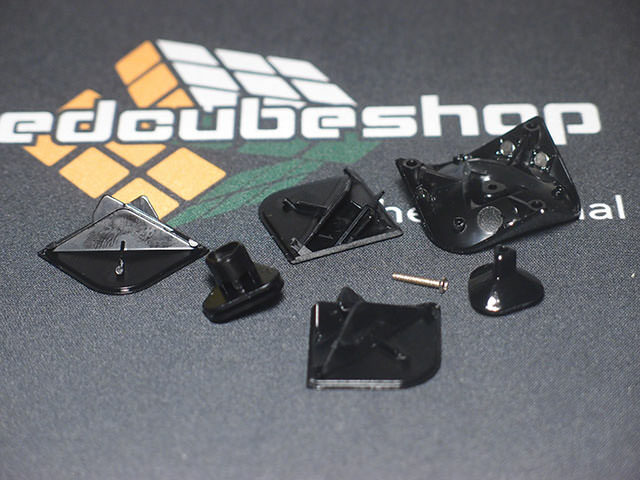 The way you actually disassemble it is by unscrewing the base, then pulling away all three caplets from the main body as if they were a full cap. Indeed, they do act like one, slotting into a central piece that holds them together for the pegs to slide into the main body. While I'm sure there were reasons for doing this even on the stickered version, I will say I would have liked it better if they used a full cap for the stickered version instead to avoid the seams and hassle of split caplets. Ahh, no wonder the magnets barely added weight. 2x2s have to use 48 magnets, just like 3x3s, but instead of 4x2s as seen on many 3x3s the Wuxia has used 3x1s. A full set will be just over a quarter of the 8g a full set of 4x2s typically adds. This also explains why the magnets felt so weak. Luckily, the nonmagnetic version does not have magnet slots so you are not limited as to the size of magnets to use, so you're free to make a stronger version if you want. The WuXia and WuXia M retail for $16.95 and $23.95, respectively. Ah, crap...looks like the gradual increase in price of 3x3 flagships has hit 2x2 as well. What are its competitors? The Xinghen, Weipo, and surprisingly the GAN 249 are all $12-$13, which is just slightly but not insignificantly cheaper. The upcoming magnetic version of the 249 is $17.95, a full $6 cheaper than the WuXia M. You know you've made an expensive flagship when you're more expensive than GAN's cubes. However, I do believe that the WuXia can back up its steeper price with performance. The Xinghen and Weipo put up a good fight but can't quite match up, and I don't know about the GAN yet. That means, at least for the time being, the WuXia is in my opinion the best 2x2 you can buy. And after all, a $2 markup on the nonmagnetic version isn't that bad. Just skip a soda. 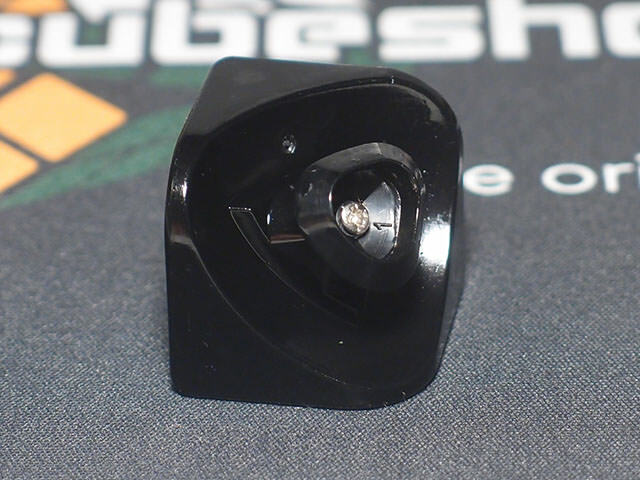 Universal turning, excellent corner cutting, and the best corner twist resistance in 2x2s add up to one of the best 2x2s available. 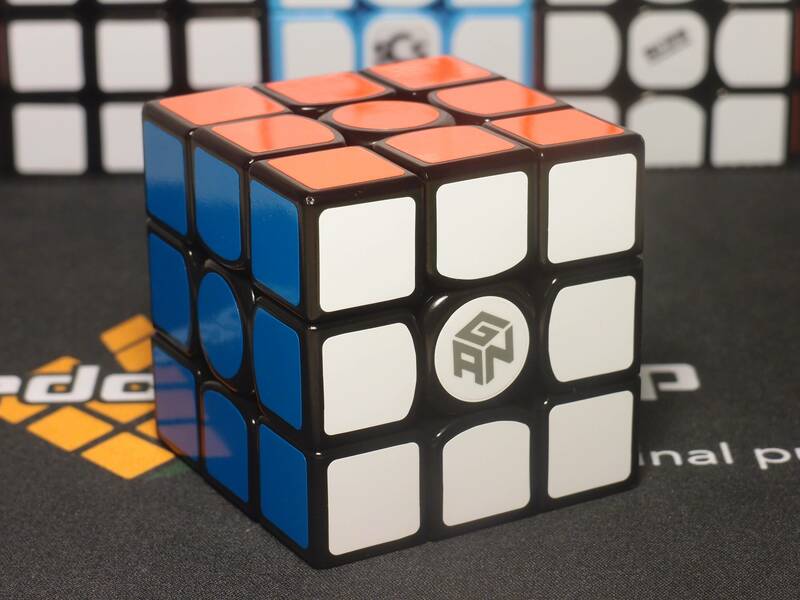 The GAN 249 will likely give it a big fight, but until that arrives this is the most technically advanced 2x2 I have reviewed and my new benchmark for the 10/10 score. The WuXia is my new main. No question about it. I love the fast, slick, and flowy feel from it, and the great stickerless colors is a big plus. The WuXia M is still just a bit slow and a bit too soft for my liking, but honestly I suspect I would have given it a 10/10 if the WuXia hadn't been there to set the bar as high as it did. 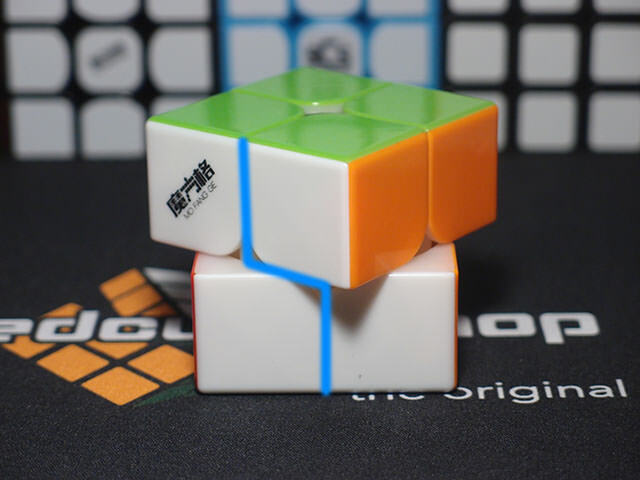 These are some great 2x2s from QiYi, and honestly I don't think they've received the attention they should have. It's a good sign that they've done so well with their first flagship 2x2 offering, and I'm very interested to see what they might do with the future.